His appointment has sparked concern from Jewish groups as the new Olympic chief heads a German-based organization that helps companies guarantee their products do not contain anything from Israel. Favorite Thomas Bach has succeeded Jacques Rogge to become the new president of the International Olympic Committee. The former fencing gold medalist has never lost a vote in his career as a sports functionary. Bach’s own path to success seems to have been similarly gilded. As a young fencer, Thomas Bach learned early on the two core competences for his later success as a sports functionary: patience and a keen sense of the right moment to strike. He was the first to put forward his candidacy in the race for the highest job the sports world has to offer, the President of the International Olympic Committee (IOC). For a long time he kept up his defense, watched his opponents and then struck when the moment was right. 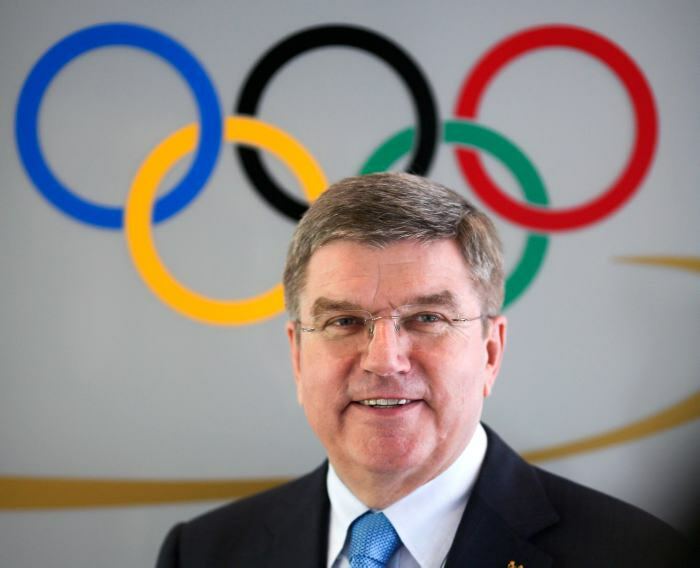 For about two years, observers have been speculating whether and when Bach – who was Vice-President of the IOC – would put his name in the hat to succeed his long-time boss Jacques Rogge. “I think that my considerable experience and the trust that I’ve built up and my passion as an athlete and gold medal winner might convince a few people,” Bach said. Currently, Bach is at the head of the German Olympic Sports Confederation (DOSB), a position he must give up as IOC President. In 2010 Bach got 80 out of 94 votes in his third election as IOC Vice-President. There was no other candidate, lots of praise and some read this now as an indication of his potential as future president. Bach said the reason behind the early announcement of his candidacy this time was to be open with his colleagues, although some wondered why he decided on such a long election campaign prior to the vote on September 10. One of his strongest critics is journalist and blogger Jens Weinreich. He thinks he knows very well why Bach came out so early with his ambitions. “Bach really wanted to be the first in the ring, to jump in before the other candidates,” Weinreich writes in his blog. The journalist also repeatedly accused Bach of using his honorary post to profit professionally. However, Bach has dismissed allegations that he’d be profiting as a lawyer from his IOC commitments. He did say however that there were “areas where personal friendships that might be a result of the honorary work overlap with the work as a lawyer.” So some doubts remain. According to Germany’s “Der Spiegel” magazine, Bach had a consultancy contract with Siemens for around 200,000 euros and allegedly had been trying to use his IOC connections to win Kuwait as a large-scale investor for a Siemens project. Such accusations have so far never really hurt Bach. His CV is flawless. He was born in 1953 in Würzburg and was already a promising fencer at the age of five. He soon made it into the national team and, when he was 22, won the gold medal in the team competition in 1976. A year later, the team won the world championship. But, all along, Bach was always working on his post-fencing career. He studied law and took on the job as the athletes’ spokesman at the 1981 Olympic congress. Bach later worked for Adidas, learning the ropes of sport lobbying and building his network of contacts. He speaks English, French and Spanish and was supported by former IOC President Juan Antonio Samaranch. Bach got voted into the IOC when he was just 37 years old. Not long after, he made it to the organization’s executive committee. Finally, in 2000 he became Vice President of what is one of the world’s most powerful sports bodies. Bach worked reliably at the side of current IOC President Jacques Rogge, waiting patiently for his opportunity. During what was possibly the IOC’s most severe crisis, the corruption scandal around the 2002 Salt Lake City games, Bach got a lot of praise for his crisis management. Rogge is a good friend of Bach and is likely to have thanked him for his loyalty by putting in a good word for him during the election campaign. Rogge has said that Bach is an important pillar of the global Olympic idea and has everything a President needs. Bach is also said to have another powerful ally, the Kuwaiti Sheikh Ahmad al-Sabah, president of the powerful Association of National Olympic Committees and considered an influential figure in Olympic circles. Just last week, al-Sabah was celebrated at Tokyo’s victory party after his lobbying reportedly helped them win the right to host the 2020 games. He also backed wrestling’s successful return to the fold. Even before the results were announced, the Sheikh had admitted to not just backing, but lobbying for Bach, in an apparent breach of IOC protocol; but that, and a documentary broadcast in Germany containing allegations about Bach’s character and conduct, failed to derail the favorite from his target. Despite the support from the Rogge and al-Sabah, it was still Bach’s task to convince the almost 100 IOC members that he was the right man for the presidency. “Unity in diversity” was his election slogan, suggesting cautious reforms. Bach knows that announcing all too radical upheaval could have cost him votes. And his central goal to protect the autonomy of the sport from the influence of politicians should sit well with his fellow IOC members. At the moment, tougher laws on doping and corruption are not wanted by most members of the IOC. The challenges awaiting Bach are enormous. One reform will have to look at which new sports should be included in the Olympic roster while traditional disciplines like wrestling have just been readmitted into the fold. The costs for infrastructure and security at the games are getting ever higher, which in turn leads to cities being hesitant to apply. The high number of recent doping cases has damaged the very image the IOC is trying to sell: the fascination with sporting competition and top athletes. Thomas Bach will have to provide ideas on how to tackle those challenges; the time for defensive patience is over, and now people are looking to Bach to take the pledges in his election campaign forward and shore up the IOC position well in to the 21st century, playing harmoniously alongside his colleagues for the next eight years at least. The newly elected president of the International Olympic Committee heads a German-based organization that helps companies to guarantee that their products do not contain anything from Israel. Thomas Bach, a German who was elected Tuesday for an initial eight-year term at an IOC session in Buenos Aires, is chairman of Ghorfa, the Arab-German Chamber of Commerce and Industry, which was set up in the 1970s by Arab countries to boycott trade with Israel. “It betrays the principles of sportsmanship and fair play for the IOC to be headed by someone who actively participates in ongoing Israel boycott campaign measures,” said Deidre Berger, director of the American Jewish Committee Berlin Ramer Institute. 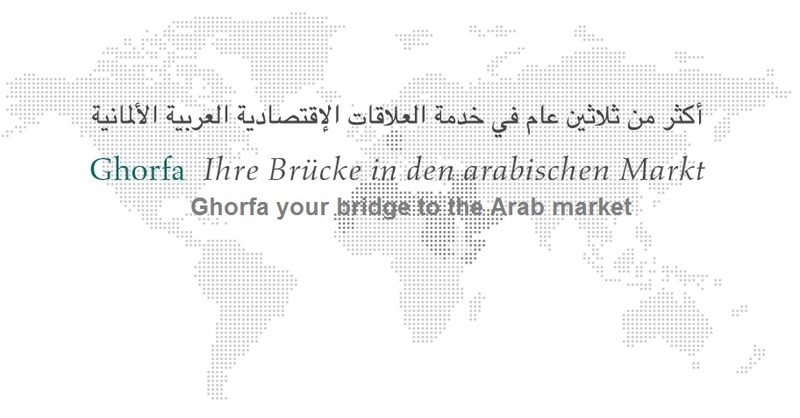 Ghorfa helps German companies ensure that products meet the import requirements of Arab governments, some of which ban products and services from Israel. The group continues to issue certificates of German origin for trade with Arab countries. Its earlier practice of certificates verifying that no product parts were produced in Israel stopped in the early 1990s when Germany enacted trade regulations forbidding the use of certificates of origin to enable de facto trade boycotts, according to the AJC. Bach, 59, who most recently served as IOC vice president, won a fencing gold medal in the team foil in 1976 before entering sports marketing and politics. He supported the refusal of the IOC, led by Jacques Rogge, to hold a moment of silence during the 2012 Summer Olympics for the 40th anniversary of the murder of 11 members of the Israeli athletics delegation by Palestinian terrorists at the 1972 Munich Games. Nine new IOC members also were elected Tuesday, including Bernard Rajzman, a Brazilian Jew. Rajzman, a native of Rio de Janeiro, where the 2016 Summer Olympics will be held, won one gold and one silver medal in volleyball. He is the president of Brazil’s National Commission of Athletes and a state congressman. At last summer’s Olympics, the widows of Israeli athletes killed in the Munich games led a chorus of bitter attacks on Bach’s predecessor Rogge over his refusal to allow a minute of silence at the opening ceremony. Ilana Romano, widow of weightlifter Yossef Romano, told Rogge to a standing ovation at the same event in August 2012 that “today, you submitted to terrorism. The widows’ campaign for a minute of silence at the opening ceremony to mark the 40th anniversary of the 1972 attack, gained more than 111,000 signatures from over 100 countries, and attracted support from US President Barack Obama and other world leaders. However, Rogge refused to allow the memorial to go ahead. Around 600 people attended the London service, which was organized by National Olympic Committee of Israel, the Jewish Committee for the London Games and the Israeli embassy in London. Guests included British Prime Minister David Cameron, London Mayor Boris Johnson, Israeli Minister of Culture and Sport Limor Livnat and German Foreign Minister Guido Westerwelle. German exports to the Arab countries has risen for years. Between 2005 and 2011 it increased from 18.5 to 28.6 billion euros. The trading volume enjoys a strong rise: in 2011 it grew by around 4% year on year to over 42 billion euros. These positive trends are reflected in the economy of the Arab countries. The International Monetary Fund (IMF) estimates economic growth for the region in 2012 to 5.5%. The tremendous growth potential of the Arab countries is far from being exhausted. According to forecasts there will be approximately 4.3 trillion U.S. dollars invested in construction projects by 2020 alone.